Only 300 metres from the beach, Apartments and Rooms Dis is located in the real heart of Vis on Vis Island. It presents rooms and apartments with air conditioning, a TV and free internet access. A fish market is 50 metres away. The closest grocery shop can be found within 100 metres, as well as café clubs and eating places, while a green market is at a distance of 200 metres. A football pitch, tennis, basketball, volleyball and badminton courts can be found 200 metres away. Perasti Citadel and the location of the ancient Greek city of Issa are also in the proximity. A bus stop is 100 metres away. Vis Ferry Harbour, with connections to Split and its UNESCO-protected Diocletian's Castle, is also 100 metres from the Dis Apartments and Rooms. 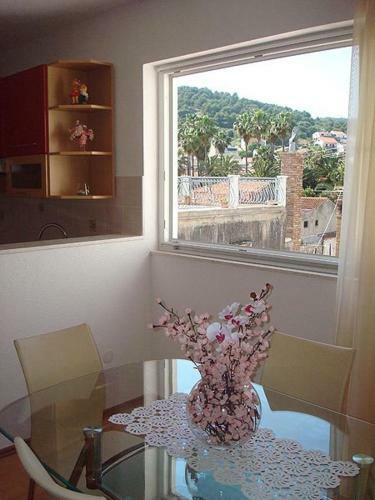 Apartments and Rooms Dis ~0.1 km, Vis price per day from € 45 Only 300 metres from the beach, Apartments and Rooms Dis is located in the real heart of Vis on Vis Island. It presents rooms and apartments with air conditioning, a TV and free internet access. A fish market is 50 metres away. The closest grocery shop can be found within 100 metres, as well as café clubs and eating places, while a green market is at a distance of 200 metres. A football pitch, tennis, basketball, volleyball and badminton courts can be found 200 metres away. Perasti Citadel and the location of the ancient Greek city of Issa are also in the proximity. A bus stop is 100 metres away. 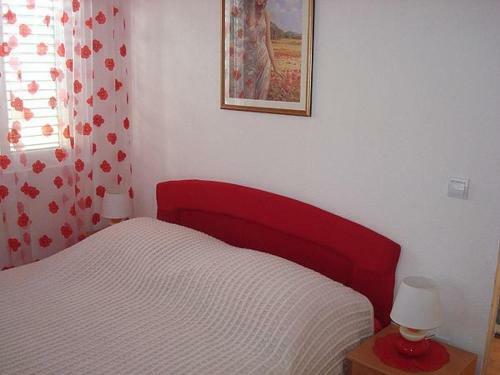 Milna (Vis) ( ~ 4.5 km ): 24+ apartments. Rukavac ( ~ 4.5 km ): 75+ apartments. Komiza ( ~ 7.6 km ): 92+ apartments. Beach Prirovo ~ 0,5 km from Apartments and Rooms Dis Gravel beach: ideal for families, recommended for young people, with restaurant, with caffe bar. Excellent choice of watersports. Beach Kalafatovo ~ 0,6 km from Apartments and Rooms Dis Gravel beach: ideal for families, with caffe bar. Beach Goveja ~ 1 km from Apartments and Rooms Dis Gravel beach: ideal for families, with restaurant, with caffe bar, equipped with showers. Excellent choice of watersports. Beach Parja ~ 1 km from Apartments and Rooms Dis Sandy beach: ideal for families, recommended for young people. Excellent choice of watersports. Beach Stoncica, island Vis ~ 1 km from Apartments and Rooms Dis Sandy beach: ideal for families, recommended for young people, with restaurant. Excellent choice of watersports. 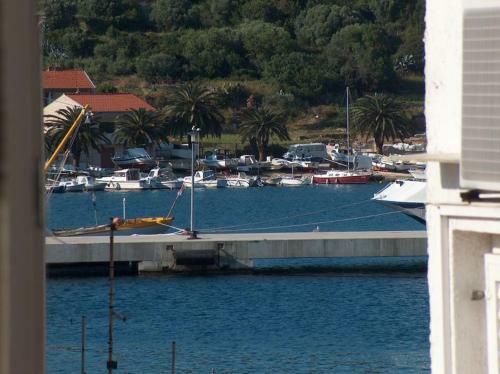 Restaurant Konoba Golub, Vis ~ 1,9 km from Apartments and Rooms Dis Address: Podselje 12, 21480, Vis. Cuisine: Croatian cuisine. Restaurant Villa Kaliopa, Vis ~ 1 km from Apartments and Rooms Dis Address: Vladimira Nazora 32, Vis. 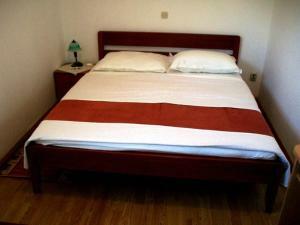 Restaurant Pojoda, Vis Guest reviews: 8,3/10 ~ 1,2 km from Apartments and Rooms Dis Address: Don Cvjetka Marasovic 8, Vis. Prices: 196 HRK - 795 HRK. Restaurant Karijola Pizzeria, Vis Guest reviews: 7,6/10 ~ 0,7 km from Apartments and Rooms Dis Address: 4 Viski Boj, Vis. Cuisine: Pizza. 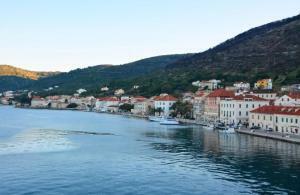 Restaurant Boccadoro, Vis Guest reviews: 9/10 ~ 1,2 km from Apartments and Rooms Dis Address: Petra hektorovica 2, Vis.